If you're looking for a casual yet chic look, pair an Agnona jersey t shirt with a white vertical striped midi skirt. Both items are totally comfy and will look fabulous together. Spruce up your ensemble with black leather heeled sandals. Rock an Agnona jersey t shirt from farfetch.com with navy ripped skinny jeans for a comfy-casual look. 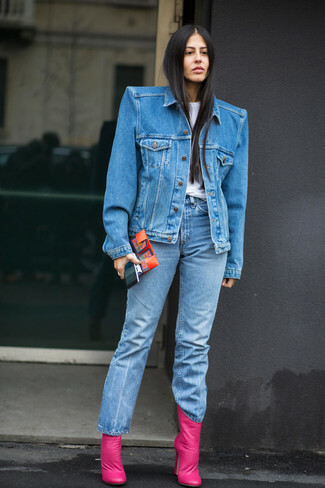 And if you want to instantly kick up the style of your look with one piece, enter blue leather pumps into the equation. This pairing of an Agnona jersey t shirt and light blue jeans is super easy to make up and so comfortable to sport all day long as well! A pair of hot pink leather ankle boots will add some real flair to this getup. If you're all about functionality dressing when it comes to fashion, you'll love this chic pairing of a white crew-neck t-shirt and light blue ripped skinny jeans. 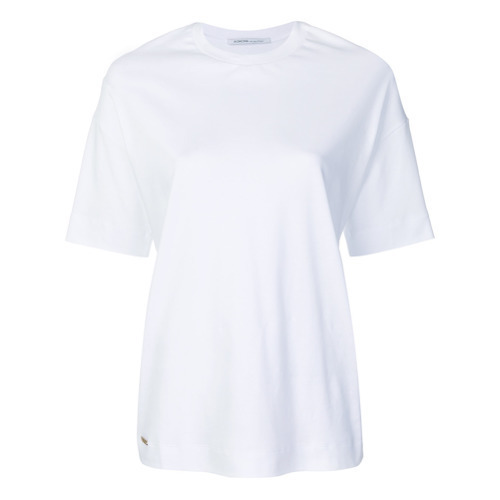 If you're looking for a casual yet chic outfit, pair an Agnona jersey t shirt from farfetch.com with black skinny jeans. Both pieces are totally comfy and will look fabulous paired together. 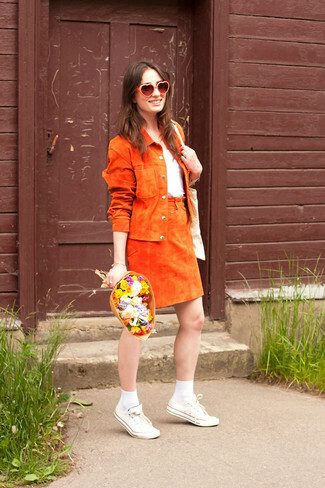 If you're in search of a casual yet stylish getup, wear an Agnona jersey t shirt and an orange suede a-line skirt. Both pieces are totally comfy and will look fabulous paired together. 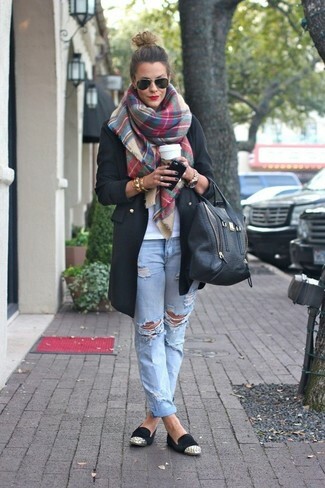 Throw in a pair of white canvas low top sneakers to make the ensemble more current. If you're all about comfort dressing when it comes to your personal style, you'll love this adorable pairing of an Agnona jersey t shirt and light blue ripped boyfriend jeans. Choose a pair of black embellished suede loafers to va-va-voom your outfit. 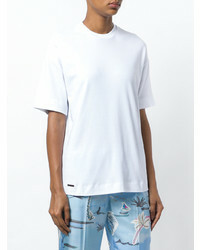 If you're hunting for a casual yet totally stylish look, team an Agnona jersey t shirt with a black denim pencil skirt. Both pieces are totally comfy and will look fabulous paired together. Opt for a pair of black and white canvas low top sneakers to loosen things up. 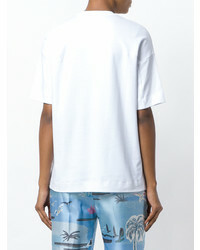 If you're a fan of practicality dressing when it comes to fashion, you'll love this adorable pairing of an Agnona jersey t shirt from farfetch.com and blue boyfriend jeans. Elevate this outfit with black and white leather oxford shoes.